It’s been nearly a year since The Big Explorer built a fairy house. But thanks to several visits from the tooth fairy since then, he hasn’t lost his belief in the magical world in which they exist. 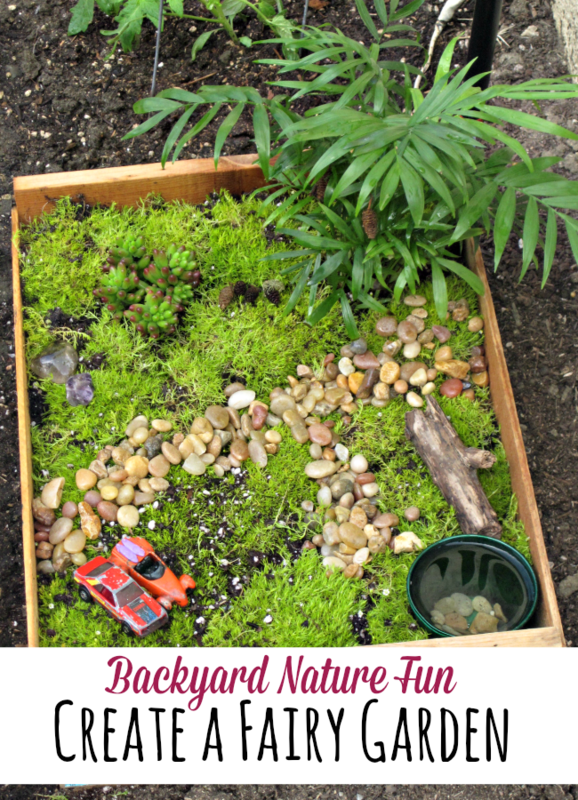 Making a fairy garden can be as simple or elaborate as you want. 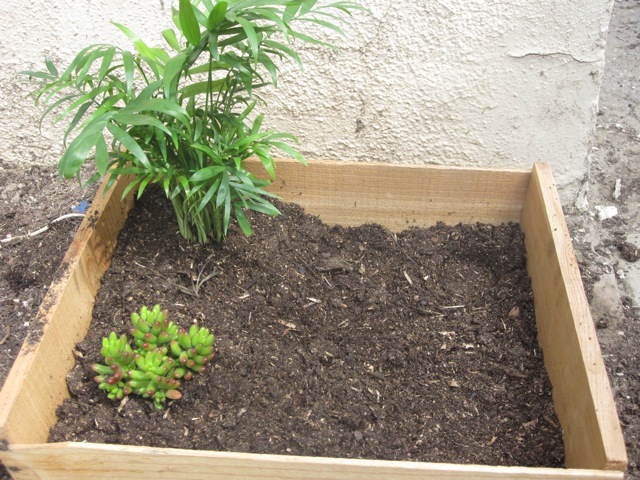 We started with an old crate and some leftover soil from our wildflower plantings. 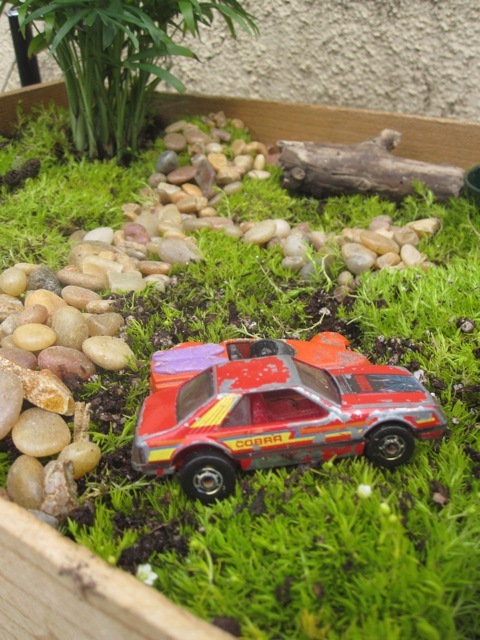 The Big Explorer’s blueprint also featured a garden, some rocks, moss, a pool, a resting log and a couple of cars (of course!). We picked up what we needed from our local Home Depot, then set about creating the fairy garden. Aside from pouring in the dirt, The Big Explorer created the entire thing himself. First came the plants, which are trees to the fairies. Then came the pool, resting log, rock path and moss. He added a few special touches, like a tiny pinecone to a leaf on one of the trees and some special stones given to him last summer from the forest fairies. He thoroughly enjoyed every minute of it. He’s hoping our backyard fairies will love their garden as much as he does. Note: Ours is a very simple example of a fairy garden. 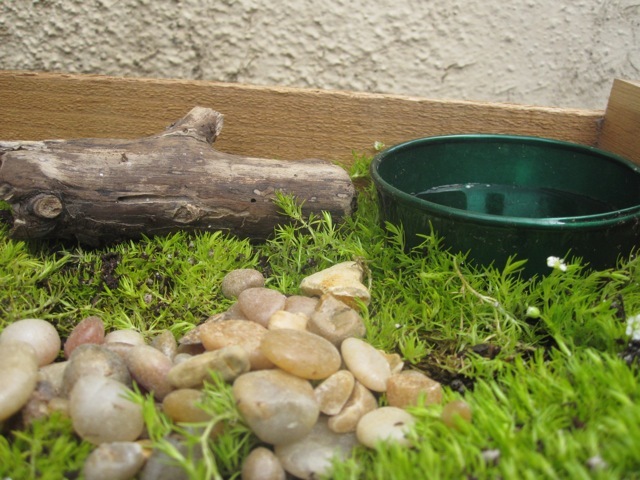 You can find detailed instructions on how to make a fairy garden at the Magic Onions. Let the kids take the lead. 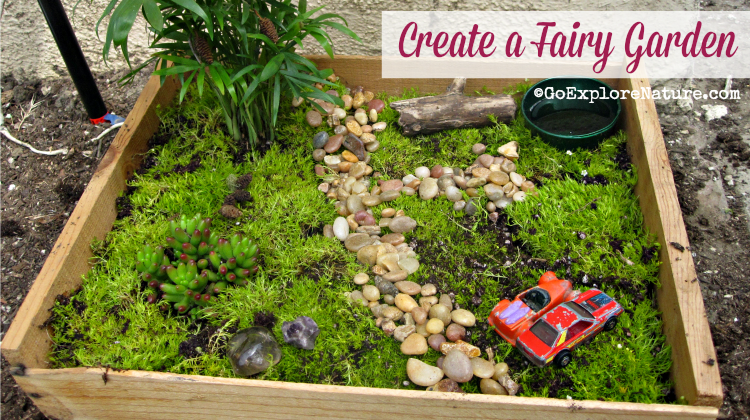 From concept to execution, this fairy garden was all from the creative mind of The Big Explorer. Help foster a sense of magic. I’ve got a feeling our backyard fairies will be paying the garden a visit. Perhaps leave behind a flower or two to show their appreciation. Go on a spring nature scavenger hunt. Cook up some goop and flower cupcakes. Create your own butterfly wings. I love this idea! Anything that encourages wonder and whimsy is a great thing. Just because fairies have wings, there&#39;s no reason they can&#39;t drive cars, right? This is all about being in the moment, which should always be celebrated. I love the garden/city and the special touch with the cars :). That&#39;s so sweet– I love the fairy garden/city!